A Whitby teacher who is accused of sexually assaulting students during school hours is facing new charges after several additional complaints came forward. The suspect was initially arrested in March and charged with eight counts of sexual assault and eight counts of sexual interference but on Tuesday police announced that they have laid 14 additional charges in the case after “several more victims” came forward. Police say that all of the charges related to alleged offences against persons under the age of 16. The suspect was a teacher at Robert Munsch‎ Public School on Norista Street in Whitby at the time of the alleged offences, police say. He coached several sports teams at the school, in addition to the female under-18 team for the Durham Rebels Volleyball Club. Thomas Grieve, 39, of Scugog Township, is now facing 15 counts of sexual assault and 15 counts of sexual interference. He appeared in court via video link on Tuesday to face the new charges and was released on bail until his next appearance on April 30th. The charges have not been proven in court. Police say that investigators are working to ensure that there are no additional victims who have not yet come forward. "We are still looking for any other victims. We want to ensure there are not any other victims out there," Const. George Tudos told CP24 on Tuesday afternoon. 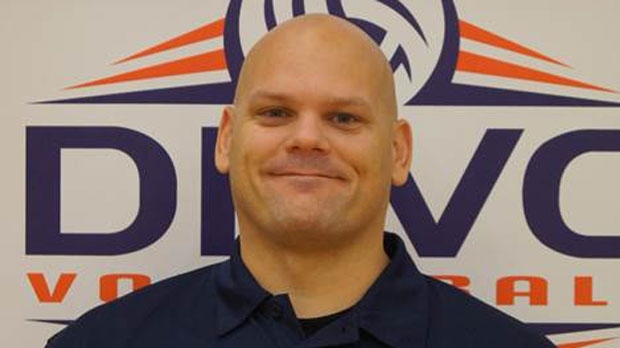 Thomas Grieve pictured above in a head shot used by the DRVC Volleyball Club. The photo has since been removed. (Durham Rebels Volleyball Club).